LEGO has been releasing special sets featuring different Chinese zodiac animals for a few years now, but for 2019, they’ve stepped up their game with two much more intricate designs. The Chinese New Year’s Eve Dinner set (RMB699) features a family of six enjoying a spread of auspicious dishes on a round table. Meanwhile, the Dragon Dance set (RMB599) sees four dancers and an additional performer dressed as a pig – the zodiac animal of the year – and a mechanical crank that allows the dragon to move up and down. 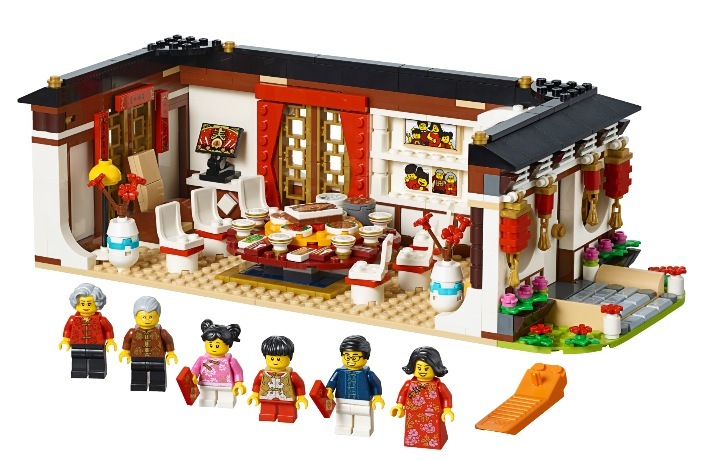 Both sets are available at LEGO shops across Asia Pacific, as well as the brand’s online stores on Tmall, JD.com and Amazon.cn. DOE celebrates its 5th birthday in style.